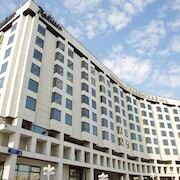 Which hotels are closest to the Moscow airport? Can you find accommodation in popular areas of Moscow? Where to stay near top Moscow attractions? What kind of hotels are in Moscow? 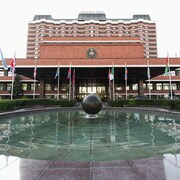 Which hotel chains are in Moscow? History buffs will enjoy exploring Moscow, and visitors give high marks for the fascinating museums, popular theater scene, and abundant cafés. This city also attracts tourists with its cathedral, art, and entertainment choices. Top sights in the city include Red Square, St. Basil's Cathedral, and State Historical Museum. Known for its museums, theaters, and art, the city's cultural venues include State Historical Museum, Bolshoi Theatre, and Kremlin Armoury Museum. 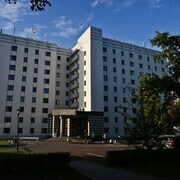 Its cathedral and historic sites are notable and landmarks include Red Square, St. Basil's Cathedral, and Lenin's Mausoleum. Other notable sights to explore include Pushkin Museum of Fine Arts and Cathedral of Christ the Savior. Four Seasons Hotel Moscow - This 5-star hotel features a full-service spa, 2 restaurants, and an indoor pool. It's a favorite with Expedia travelers for its helpful staff and location. Hostel 3 Penguins on Pyatnitskaya - Our customers like the location at this hostel. This 1-star hostel features free WiFi, a library, and laundry facilities. 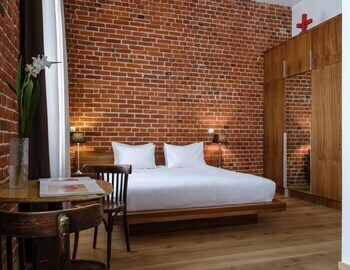 Brick Design Hotel - Guests who stay at this 4-star hotel in Basmanny can enjoy access to free breakfast and parking, along with free WiFi. Expedia customers like its convenient parking and central location. Other top sights in Moscow include State Tretyakov Gallery and Novodevichy Convent and Cemetery. With so many choices for transportation, seeing Moscow is easy. You can access metro transit at Okhotny Ryad Station, Teatral'naya Station, and Ploshchad Revolyutsii Station. If you want to see more of the area, ride aboard a train from Moscow Kursky Station, Moscow Belorussky Station, or Moscow Kazansky Station. 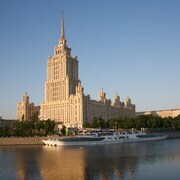 What are the most popular hotels in Moscow? 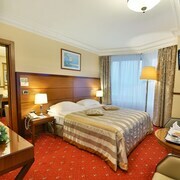 Are there hotels in cities near Moscow? 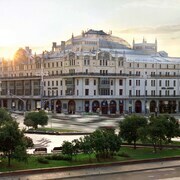 Explore Moscow with Expedia.com.au’s Travel Guides to find the best flights, cars, holiday packages and more!